Russia's Constitutional Court will rule on every decision of the European Court of Human Rights (ECHR), a Constitutional Court judge said Tuesday, adding he has not been asked to determine the legitimacy of the ECHR decision in the Yukos case. ST. PETERSBURG (Sputnik) — Earlier today, the Russian high court said the country would stay under the ECHR jurisdiction since it had signed the European Convention on Human Rights. "Should Russia’s Constitutional Court find a decision by the Strasbourg-based court to be in violation of the Constitution, it will not be enforced," Judge Sergei Marvin announced. The issue was raised following the ECHR's decision to award $2 billion in compensation to shareholders of the now defunct Yukos oil firm after it was purchased by the state-run Rosneft energy company. Stakeholders said the purchase was not conducted equitably. Judge Marvin said on Tuesday the court had not yet reviewed the ECHR decision on Yukos since it had not been filed to the Constitutional Court. 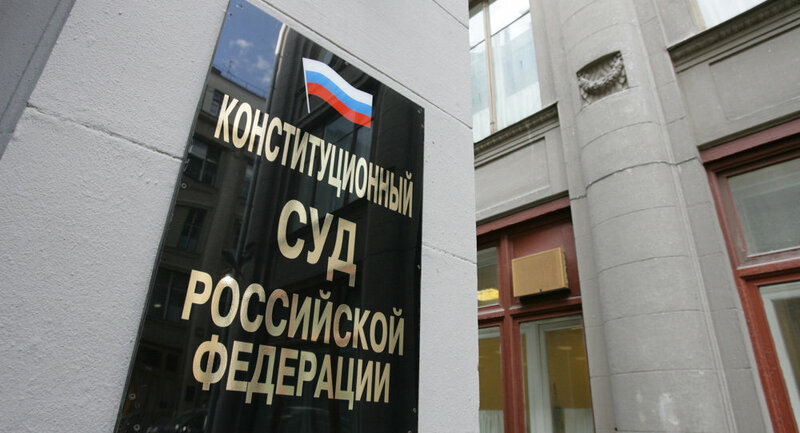 Only a local Russian court reviewing the ECHR ruling or the Russian government are authorized to initiate a revision in the high court, he explained. "The Constitutional Court has not been asked to do this," the judge noted, adding that Russian authorities could send in a request to screen the ruling. The court also formally declared the legal preeminence of the Russian Constitution over rulings by Europe’s top human rights court. Following the announcement, the spokesman for Russian President Vladimir Putin, Dmitry Peskov, said the Constitutional Court’s decision on ECHR jurisdiction "is not subject to appeal." In July 2014, the Strasbourg court ruled that Russia must pay loss compensation to Yukos shareholders, prompting France and Belgium to freeze some assets of the Russian state, although they were later unblocked. The Russian Justice Ministry said it would not follow the ECHR ruling because compliance would put the ministry in breach of Russia’s constitution.